People of God is a brand new series of inspiring biographies for the general reader. Each volume offers a compelling and honest narrative of the life of an important twentieth or twenty-first century Catholic. Some living and some now deceased, each of these women and men have known challenges and weaknesses familiar to most of us, but responded to them in ways that call us to our own forms of heroism. Each of them offers a credible and concrete witness of faith, hope, and love to people of our own day. With the cause for his beatification reportedly moving along rapidly now at the Vatican, this biography of a people's saint traces the events leading up to the assassination of Archbishop Oscar Romero at a chapel altar in San Salvador and the reverberations of that day in El Salvador and beyond. This in-depth look at Archbishop Romero, the pastor-defender of the poor and great witness of the faith, offers a prism through which to view a Catholic understanding of liberation and how to be a church of the poor, for the poor, as Pope Francis calls us to be. 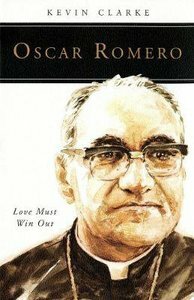 About "Oscar Romero: Love Must Win Out"
Kevin Clarke is senior editor and chief correspondent at America and its web site, americamagazine.org, where he contributes podcasts, video reports, news reports, and features. He is the former editor of Salt of the Earth magazine and former senior editor, columnist, and web content manager for U.S. Catholic magazine and uscatholic.org.